I see one thing that has to change, and one thing we have to argue about. Here's what has to change. The subject of the sentence is "most." Most is plural because it refers to more than one fish: They have been moved. If most were singular, it would mean there was only one fish in the aquarium to begin with and that the fish had been cut into pieces. Most of the fish was removed, but some pieces were left floating around in the aquarium. Which brings us to the part we need to argue about. Fish. Here's what we have to argue about. Fish. Should it be "fish" or "fishes"? We should use "fish" in this sentence and its meaning is plural. There is another plural form of fish, "fishes", which is only used by people who are much smarter than me. "Fishes" is supposed to refer to the number of different types of fish, not for the total number of fish. So you could say: There are 1,000,000 fish in the sea. 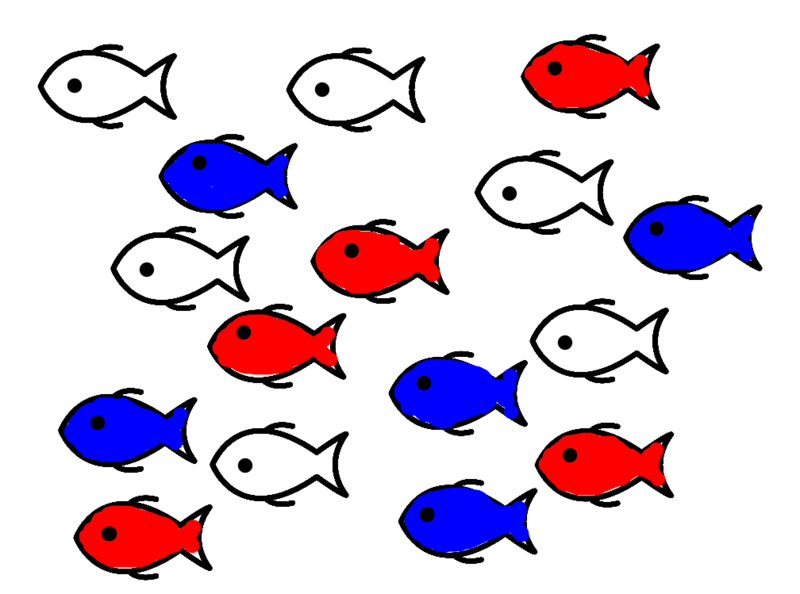 There are three fishes in the sea: red, white, and blue. This sign is talking about the number of fish. There were ten fish in the aquarium. Seven of the fish, most of them, were moved. What do you think? is it "fish" or "fishes"? Use the link below to share your ideas in our discussion forum.